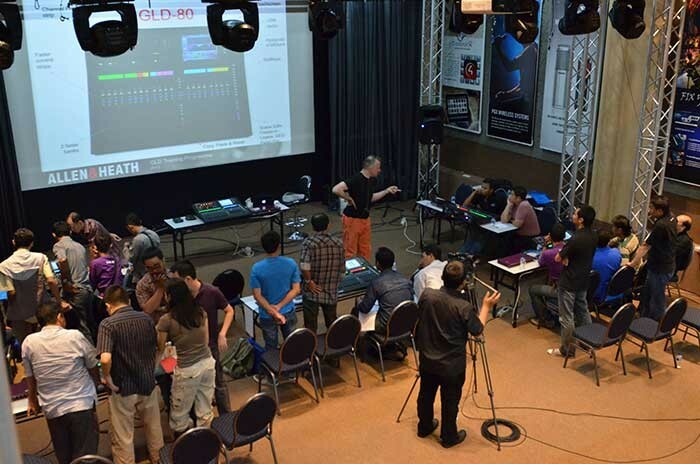 Allen & Heath has launched a training and certification programme for digital consoles in Asia. Asian distribution agent, Global Market Management, has put in place an ongoing training certification tour for the GLD and iLive digital systems across the region. The tour began at PT Kairos in Jakarta, Indonesia, with a three day training event attended by a total of 68 engineers, followed by two days in Thailand training 48 attendees, two days in Shenzhen, China for a total of 102 engineers, Bangkok, Thailand for 53 people and finally Shanghai and Shenzhen again focusing on GLD training for a total of 108 people. “The engineering team at Allen & Heath has done a fabulous job of designing easy to drive digital mixing products. In fact, stories abound of guest engineers stepping up to a console and being ready to run their show after no more than ten minutes of orientation. However there is a lot of horsepower that training can help release to all operators and engineers to make life easier and the resulting mix better. We launched our certification programs to assist our distributors with this task, and to bring a level of regional consistency to our training efforts across all of our digital platforms – iLive/T, GLD and even the amazing new Qu series,” says Global Marketing Management MD, Bardy Hayes. The Allen & Heath certification programme has been targeted to help users and engineers getting started with the digital platforms and for them to experience with hands on sessions, how easy and intuitive working on an Allen & Heath digital mixer is. The training contains theory portions and a lot of practical lessons on the individual mixer systems and the program currently consists of three courses: GLD Certificate, iLive Basic and iLive Advanced. 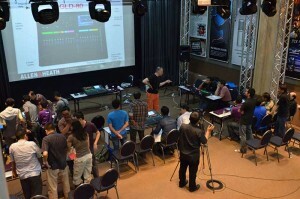 At the end of each course the participants are awarded with an official training certificate by Allen & Heath. "About 375 people have been trained so far and we are in the middle of further training," explains Allen & Heath sales engineer, Alex Schloesser, who managed the tour. "The tour will continue across the key Chinese cities - Hong Kong, Shenzhen, Chengdu and Beijing - and then we plan to visit the Philippines and other countries. We expect to have trained approximately 1500 engineers in Asia by next year, raising the awareness and knowledge about Allen & Heath's core digital products." Following a training session in Thailand, Alfonso Martin, chief operating officer reported: "One Systems is in a market rich with change and development. Technology develops fast and the products Allen & Heath offers are fully professional and feature laden. Our clients and staff love digital technology and are hungry for knowledge. The offer of the Certification programs was very timely and is going a long way towards satisfying that hunger. The hands on criteria for the training allowed ample time for the participants to experience the hardware first hand – and Alex Schloesser’s easy going style and obvious qualifications were quickly accepted by the Thai participants. They were wide open to engaging with questions and comments, which really made the experience pleasant and memorable." “We are all very happy with the results of our initial GLD certification tour. Mr. Schloesser conducted a very thorough and effective training. Zhu Luwei, A&H product manager, really found the format to be one of the best he has seen. Even veteran GLD users went away with new discoveries and a better understanding. We are now planning the next certification tour centered around the iLive-T products and hitting 6 more major Chinese cities,” comments Tao Zhang, VP of technical marketing at Sanecore Audio (A&H’s Chinese distributor). Allen & Heath are pleased with the response and take-up of the training programme, which follows on from similarly successful programs in North America and Europe.